Details: 3 Bedroom, 4 Bath beachfront property, sleeps up to 8. 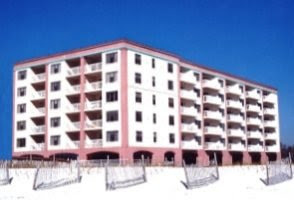 Perdido Key condo for rent at Indigo. This community features amenities among the nicest offered at any resort on the Gulf Coast, including seven acres of exquisite landscaping, secure gated entry, a 6,000 gallon zero entry resort-style pool and gazebo, hot tub, an additional seasonally heated smaller pool, outdoor BBQ grills, tennis courts with a Hydro court surface, steam rooms, saunas, two modern exercise facilities, a private theater, dedicated check-in desk, garage parking, and interior elevators that go straight to private foyers! You will also have the convenience of a clothes washer & dryer and more.